Its downstairs accompaniment Slide—a speakeasy style bar that, true to its name, is accessible via a giant slide—is on the way out too, both set to close by the end of the year. The Mason Street building dates to 1890, built as the headquarters of the Native Sons of the Golden West fraternal order, which still operates out of the number 300 suite there. 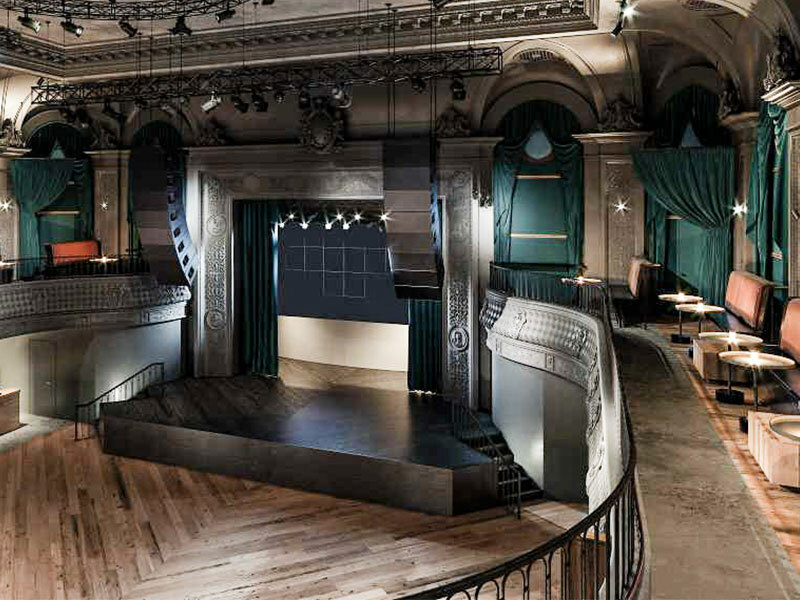 Originally the Ruby Skye spot was an auditorium and concert hall for the Native Sons. During World War II it became a music hall for sailors and soldiers called the Stage Door Canteen, our own West Coast version of the famed New York venue. The Stage Door name stuck, and after the war it became a movie house, the Stage Door Theater, opening with Laurence Olivier’s Henry V in 1946. It was there that Alfred Hitchcock debuted Vertigo in 1958, enamoring the building to San Francisco film buffs for all time. The locale changed up its game once again after the 1989 Loma Prieta earthquake maimed ACT’s longtime theater on Geary Street, leading them to stage plays at the Stage Door while repairing their original venue. Now it will say goodbye to continuous EDM concerts and return to its music hall roots and something slightly more akin to what 40’s sailors crowded the joint for before shipping out, a mix of “50 percent EDM/DJ nights, 45 percent rock bands and other live music, and a handful of comedy shows,” Valentine told Hoodline. New Years Eve 2016 is almost upon us! Wondering what’s happening in San Francisco this New Years Eve? You’ve come to the right place. NYE falls on a Saturday this year which means most clubs will be 100% sold out! Book your tables early! You can use our free mobile app to book your tables – we highly recommend booking tables as early as you can – prices will go up as the date gets closer. Here are all the DJs and events in San Francisco nightlife this New Years Eve! Bigger than you’d think once you get inside, 1015 Folsom is a bustling, multi-room ragefest where the crowd tends to be in their early-to-mid 20’s and the off-the-walls energy continues into the early morning. Not one to be predictable, 1015 features a diverse roster of DJs from Alesso to Duke Dumont to Trippy Turtle on any given night. Check out their calendar on the Discotech app to make sure you don’t miss your favorite act, and bring cash for the bar! Upstairs from the craft cocktail lounge Bergerac, Audio SF is a trendy club that appeals to underground electronica fans and scenesters alike. Probably because their speakers and ambiance are world class. Not to mention the most amazing crepe truck in town next door that’s open til 4 in the mornin’! Run by the same people behind Audio, Love + Propaganda is the revamped ex-Vessel. The modern art decor is Instagram-worthy and the beats are bangin’. 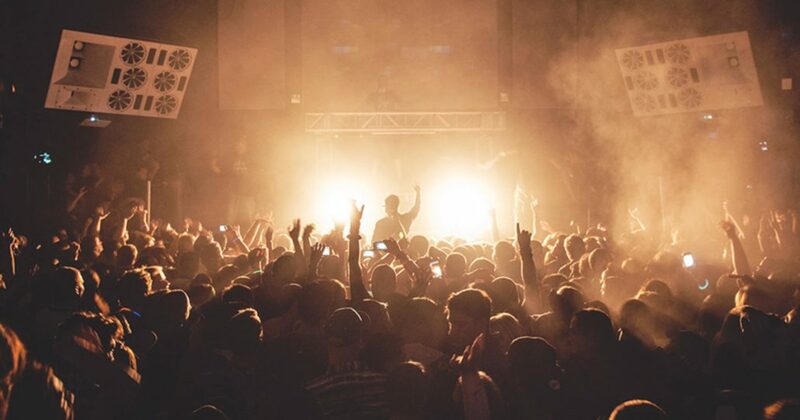 Make sure to bring ear plugs if you plan to be front and center on the dancefloor. Recalling the Greek goddess of the same name, Halcyon is a fitting title for San Francisco’s freshest entry into its burgeoning house and techno clubbing scene. 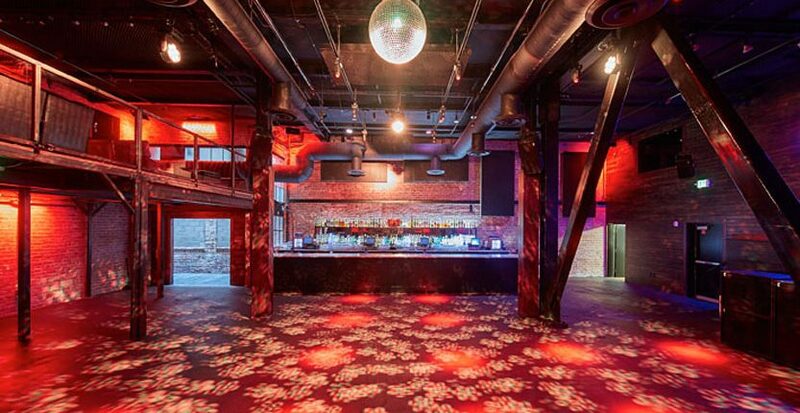 Located next to fellow house haunt Audio SF—and around the corner from the city’s iconic Eagle club—Halcyon exists as a portal that transports revelers right to the revered black boxes that Ibiza used to be known for, with a laser-tight focus on delivering top-notch musical offerings and even greater vibes to its patrons. 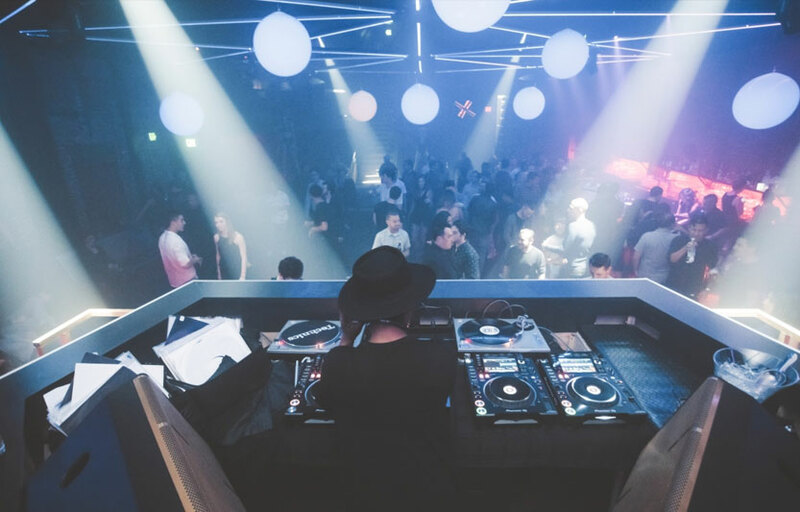 For many, the club provides the sort of clubbing experience that has yet to be offered in the Golden City, which historically has offered more low-key, intimate vibes than the show-stopping ones being served up in the new SOMA hotspot. Thankfully, while Halcyon emulates the spirit of Ibiza megaclubs of yore, it does so without being addled with the uptight attitude and bottle-dominated economy that have plagued so many new clubs before it. Put simply: it delivers what made you fall in love with dance music the first time you heard it. Upon arriving, guests are sure to be struck by the club’s easy-to-understand layout consisting of a single room, rather than the multi-environment labyrinths that had become the seeming standard in past years. The end result of this design choice? A uniform musical experience for all patrons, who don’t have to worry about how to find the bathrooms, who is playing in another room, or where their friends may be making out. At its end, clubbing is about making shared memories, and Halcyon is designed from the ground up in order to do so. Monarch is not for the meek. You’ll notice that as soon as you roll up to their block. But that’s probably so they can weed out the imposters. The first act is the ground floor cocktail room that oozes boudoir Moulin Rouge vibes, acrobats and all. But for the second act, traverse downstairs to the dark, intimate basement where you’ll catch the kind of lineups you’d typically see in Berlin. Part-time club, part-time art gallery, Public Works is a wooden warehouse that draws Burners year-round to their Distrikt events. Bring cash, dress down, and grab a dirty dog on your way out! If you like the showmanship and glamour of Las Vegas clubs, Temple SF is your spot. Girls in high heels and tight dresses with their hair and nails did get down to headliners like the Chainsmokers. The line to get in can be long, so plan accordingly. Temple also features a hip hop room downstairs – a little something for everyone! Brought to you by the owners of Monarch, the Great Northern is the renovated ex-Mighty! The lineup hasn’t changed much (read: John Digweed, Guy Gerber, etc. ), but the interior has morphed into a cavernous art deco space featuring a custom designed Void sound system. We like what we see, but more importantly, we like what we hear! Check Great Northern out and let us know what you think. Verso is chic and spacious. Whether you want to get lost in techno tunes or mingle at your own private booth, Verso has it all. Not to mention the gorgeous cocktail lounge next door, Forgery, if you want to start your night out on an upscale note. 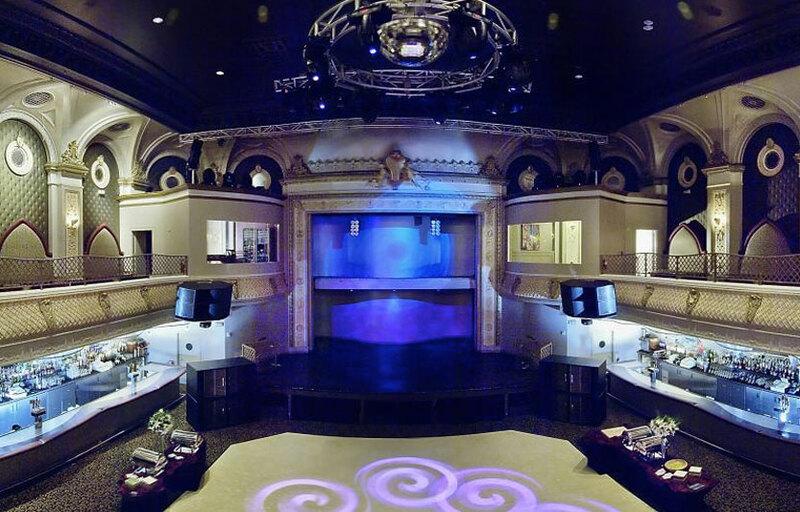 Ah, Ruby Skye – it’s an SF dance club institution at this point. Don’t be fooled by the exquisite crown molding in this converted theater – Ruby RAVES. Wear your trance pants and see DJs like Ilan Bluestone and Cosmic Gate here, among other more mainstream, big-room acts. Look out for those laser beams! Make sure to check out the ever-growing list of electronic dance clubs in San Francisco on Discotech… another night out, another dancefloor!